There is so much we want to celebrate in this season! New starts, new friends, new routines, a bigger team, but especially our authentic dedication and hard work. 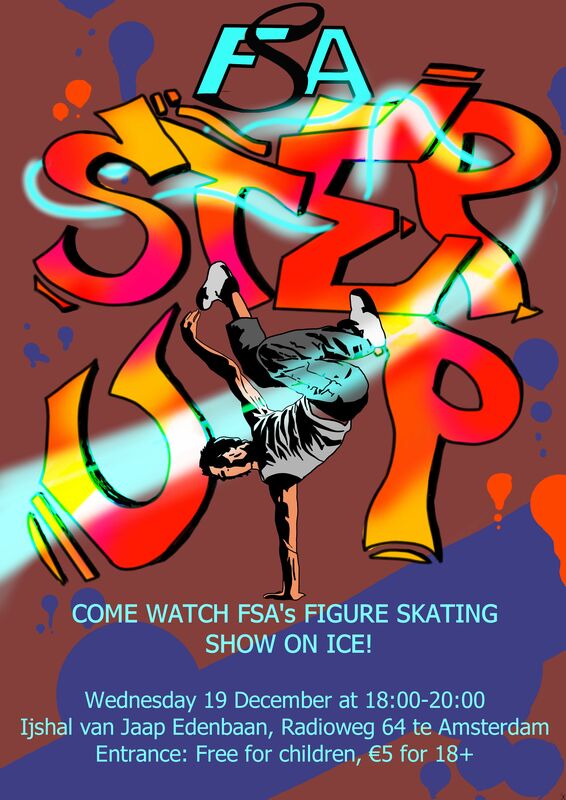 FSA has prepared a special event to share with family, friends and skating fans our passion. We are delighted to present our dazzling Show on Ice, STEP UP! Music, lights and dances are on set, so get ready for this mesmerizing performance. Figure Skating Amsterdam is ready to show how we own the moves on Ice!